The sea squirt is globular or cylindrical in shape and is often brightly colored. The soft body is surrounded by an outer covering called a tunic. They have two distinct siphon structures at the top of their body. One siphon is used to bring water into the organism and the other siphon is used to expel water. Plankton is filtered out of the water through the use of its pharynx. The sea squirt gets its common name from its habit of expelling streams of water through its siphons when disturbed. Depending on the environmental conditions, sea squirts can reproduce asexually or sexually. The larvae have a notochord that gradually disappears as they mature. 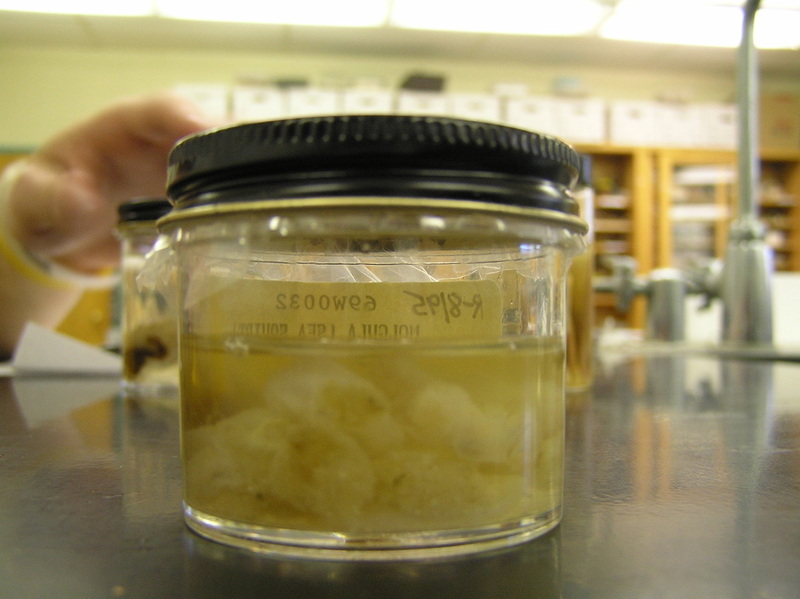 The sea squirt is found in coastal areas permanently attached to hard substrates. The sea squirt can provide scientists with clues as to the evolutionary history between vertebrates and invertebrates. "Sea Squirt". Animal Planet: Other Marine Life. Retrieved from: http://animal.discovery.com/marine-life/sea-squirt-info.htm.